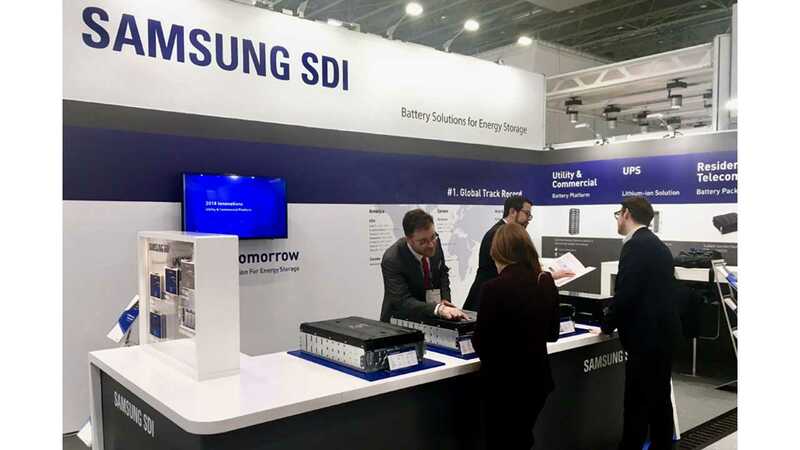 Samsung SDI is presenting at the 2018 Energy Storage Europe in Germany its latest high-energy density 111 Ah battery cells for energy storage purposes along with its 94 Ah cells used in all-electric cars. The 111 Ah stores more energy than the 94 Ah in the same form-factor, so one would ask why there is no 111 Ah version for cars - well, it's expected that the 94 Ah will get an upgrade to 120 Ah soon. 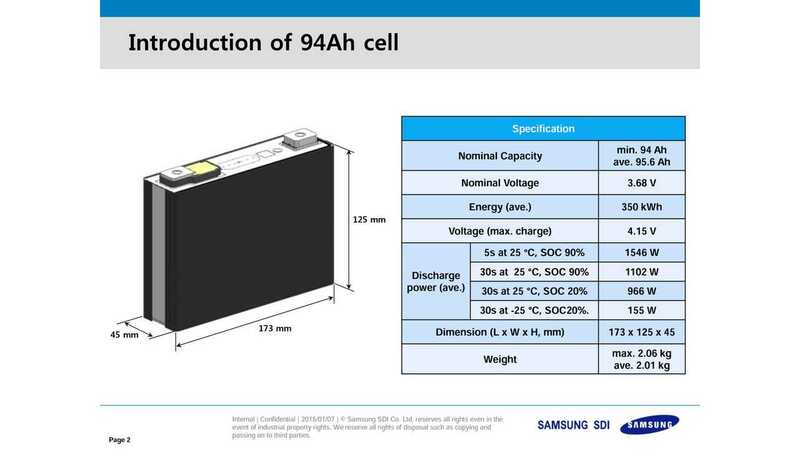 "Samsung SDI first unveiled its new high-capacity ESS product, E3 model, which 111Ah cell is used to enhance the energy density. 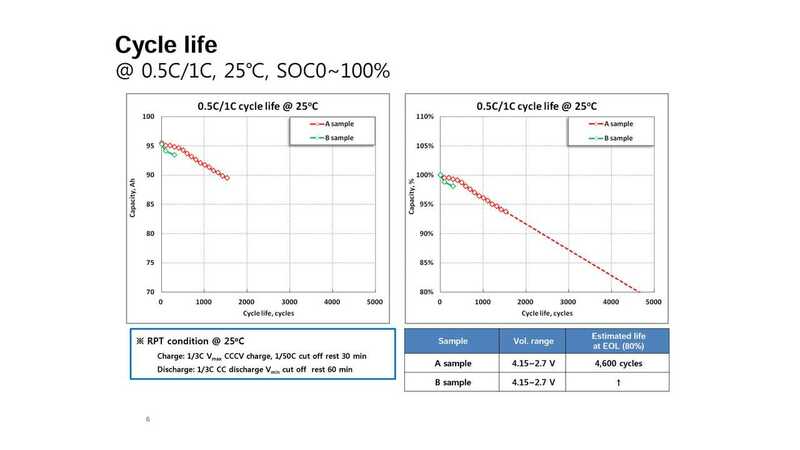 E3 can store the same amount of energy with less number of cells, enabling the size of the ESS facility to be reduced. This feature will receive spotlights from the market because it means that it can save installation and management cost." 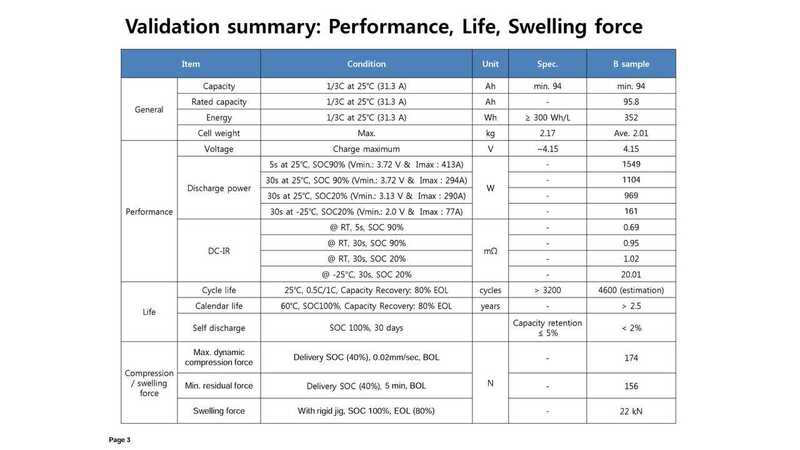 Before that happens, let's look at the specs of the 94 Ah cells, used in the BMW i3. These cells are considered to be among the longest life-cycle cells available. 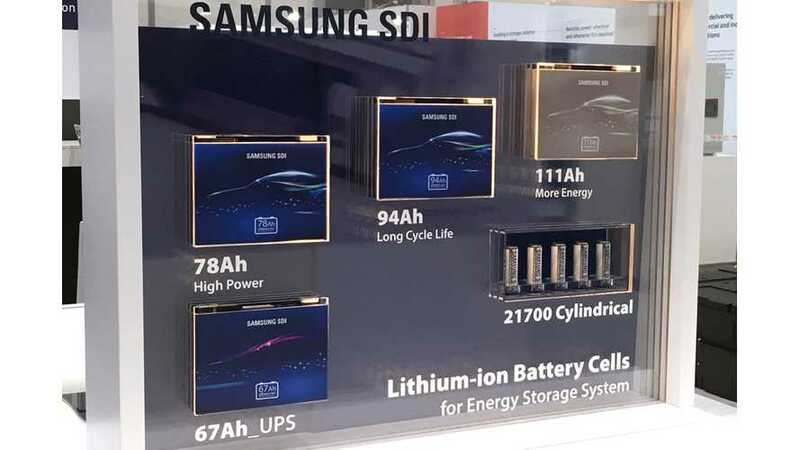 Samsung SDI expects up to 4,600 charging cycles at 25ºC to End-Of-Life (EOL), which in the case of batteries is the point when capacity decreases to 80% (battery still can be used, but is generally not desirable in cars any longer). It's one of the best results in the industry and it's totally doable because the i3 pack is equipped with a thermal management system.